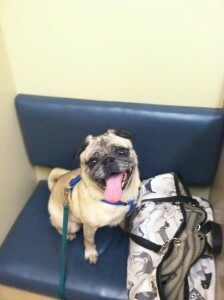 Lewis is an 8 year old fawn pug, up to date on shots, neutered and will be receiving dental. Lewis is very protective of food so no young children please. He is very active and will fit into almost any household. Lewis is receiving medical care and will be placed in foster care shortly.